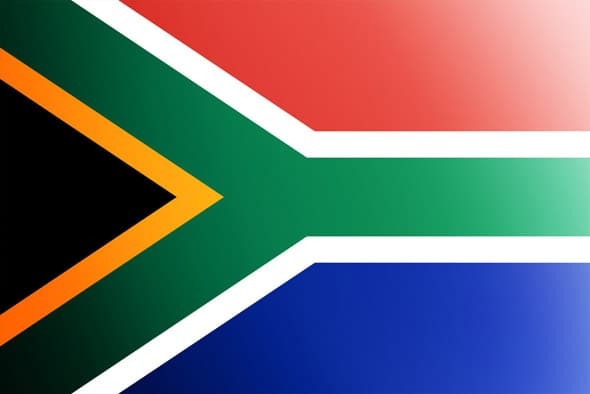 South Africa has taken a relaxed approached to online sports betting while creating a restrictive environment for other forms of gambling. The Republic of South Africa is the southernmost part of Africa and has a population of 53 million. The country’s history is unfortunately notorious for apartheid which was finally abolished in 1990. Since then South Africa has developed a new found identity of multiculturalism, with a constitution acknowledging 11 official languages. The official currency of South Africa is the rand. In this guide to online sports betting in South Africa you can first see how the industry developed in the country. Next the online market is looked at along with the taxes you are liable to pay on your winnings. After this the accessibility of betting sites is looked at for South African customers before finishing off with thoughts to the future of the industry. From 1965 the only legal wagering allowed in South Africa was on track betting at horse races. With major races like The Summer Cup in Johannesburg and The Durban July, the ‘sport of kings’ still attracts a wealthy South Africans to the 10 major tracks located across the country . Aside from this the majority of gambling in South Africa was illegal and underground. This began to change in 1994 when the first post-apartheid government was elected and voted to legalize all forms of betting activities. This began on 2nd March 2000 when the first lottery draw was made, followed in 2004 when other activities including sports betting was permitted. Now you can find hundreds of betting shops throughout South Africa and even more outlets offering pari-mutuel betting. Like all legal gambling activities in South Africa sports betting is governed by the National Gambling Board. With an increase of 71.3% it was the fastest-growing category for gambling revenues in 2012 and saw an overall increase of 566% between 2008 and 2012 . Horse racing still remains the largest market, although it is being quickly caught up by football betting, which is expected to overtake it by 2018. South Africa has taken a mixed approach to online gambling. The wider industry, covering casinos, poker and bingo was made illegal in the National Gambling Act of 2004. This included both provision of games and the participation in them. This was re-enforced in 2010 when a High Court judgment decided that games provided by companies based outside South Africa were also illegal . The good news for sport bettors is wagering on horse racing or online sports books is not covered by this ban. As such you can choose from a number of domestic or international companies if you wish to bet online and it is all perfectly legal . All online licenses issued within South Africa are done so by the gambling and racing boards of the nine provinces, the largest being Western Cape Gambling and Racing Board who regulate 32 bookmakers. As of May 2012 winnings made from recreational betting is not subject to income tax and gambling winnings do not need to be included on tax returns. The tax which applies to bettors is a 6% VAT deduction which is applied to all horse racing winnings. Apart from the domestic South African sites, no betting site offers the Afrikaans language although nearly all sites offer English. A similar situation applies with the rand, as no non South African site allows you to hold balances or make wagers in South Africa’s currency. You can however deposit in rand and have your balance converted to US dollars or Euros, although the value of your account between depositing and withdrawing may vary slightly due to exchange rates. For many e-wallets are the easiest option for deposits and withdrawals. These companies allow you to deposit into them and then can deposit and withdraw quickly and cheaply from different sites and you can have your online account in the currency you most often wager. Neteller and Skrill are among the current market leaders. Visa and MasterCard are also widely accepted, although MasterCard does not always allow you to process withdrawals, requiring you instead to request a check or bank transfer. 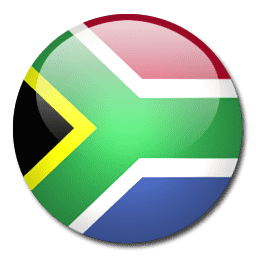 The National Gambling Amendment Act of 2008 has tried to establish legal online gambling in South Africa, although it has been actively opposed by anti-gambling groups and land based casinos. Currently the act is working its way through the courts. While this does not directly affect online sports betting currently, that activity remains legal, it has an impact on which companies are allowed to advertise, as many international sites have interests in casino and poker. As the amendment gets worked through different legal stages there may also be changes to the online landscape in South Africa which may affect online sports books. Currently this seems unlikely and a long way off, which means the online sports betting industry in South Africa is free to grow.